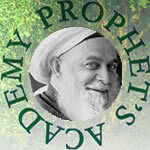 The Purpose of this diwan is to teach and inspire you with true eternal love of the Highest Beloved. 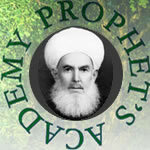 An unprecedented exercise in the exploration and enjoyment of Love of Allah/God Almighty (swt.) the Most Sublime and Dear. 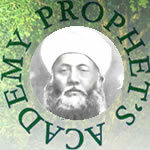 Prophet’s Academy is the brain child of Mawlana Sheikh Nazim Al-Haqqani (Q.) 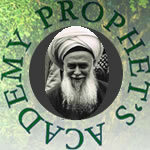 (1922, Larnaca, Cyprus), the Grandsheikh of the Naqshbandi Haqqani Sufi Order, as the successor of Grandsheikh Abdullah Alfaiz Daghestani (Q.). 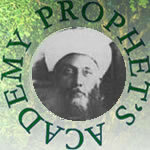 In 1999 while in London Sheikh Nazim instructed his most senior pupil Dr Saydam Akpinar/Sheikh Abu Salman Abdul Azal (1939, Limassol, Cyprus) to found an academy by that name where he would teach any willing and capable students the ways of Islam and Sufism/Tasawwuf through a study of basic Islamic Sciences. 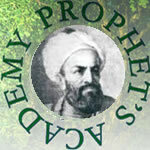 The sufi way, which means in a way to base Islam’s benefits and personal glories on the character, conduct and spiritual excellences of the Last and Final and Most Glorious of God’s prophetic messengers to all mankind, namely Muhammad, may God’s choicest blessings and peace be upon him. 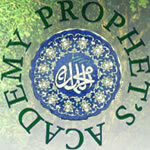 The Academy was launched back in October 1999 in a small self contained building attached to Sheikh Nazim Sufi Centre situated at St. Ann’s Road in North London, with about ten adult students attending and registering, and as supplemented by transitory visitors who stayed a few sessions and moved on. But these have always been students and other interested souls who followed the studies on the internet and their numbers ebbed and flowed since in their hundreds. Most however made do with just reading any texts published on the internet and corresponded with the rector Dr Akpinar/Sheikh Abdul Azal with a view to gain further information or exchange ideas. A few of these also studied formally and passed some tests on some subjects of their choice. Formal curriculum subjects can be found under Studies Curriculum on this site. Copyright ©2019 Prophet's Academy. All Rights Reserved.